Renault has denied it broke an informal agreement among Formula 1 teams by protesting Romain Grosjean's Haas after the Italian Grand Prix. Grosjean was excluded from sixth after Renault lodged a protest against his car's floor. Haas has appealed, and its case will be heard in Paris on November 1. Team principal Gunther Steiner argued there was a 'gentleman's agreement' among F1 squads not to try to catch each other out with post-race protests but to query technical issues earlier. But Renault F1 executive director Marcin Budkowski said this was a different case because Haas's floor issue was subject of a technical directive that had been circulated to all the teams, and the onus was on Haas to ensure that its car complied. "We all look at each other's cars on a regular basis," Budkowski told Autosport. "Us and I think quite a few other teams spotted a few races ago, because I think it was a floor that was introduced in Canada. "It's true that there hasn't been a protest for a long time. It's not a question of a gentleman's agreement or not a gentleman's agreement, they were given a number of races by the FIA to make that floor legal. "We didn't have a problem with the time they were given. But they didn't respect this time. I don't think they were really caught by surprise there. 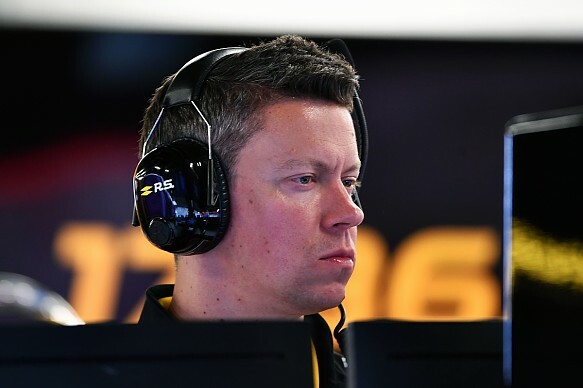 "What I think Gunther is probably referring to is that if we spotted something illegal on a car, we wouldn't protest immediately, we would probably talk to the FIA or to a team before to sort it out. "The TD was pretty public, wasn't it? We were expecting like everybody else that they would come with a floor that complies with the technical regulations in Monza. We were surprised that they didn't." 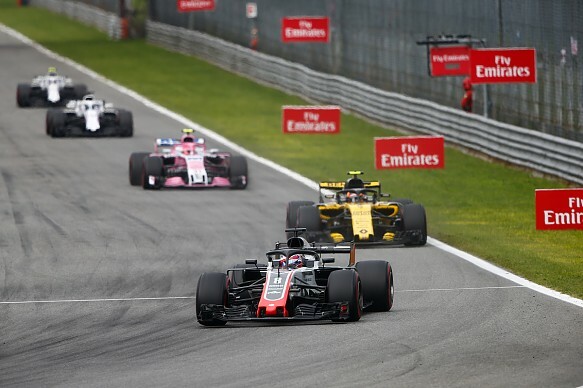 Grosjean's exclusion meant Haas lost a result that had just taken it ahead of Renault for fourth in the constructors' championship, but Budkowski suggested this was irrelevant. "After the race we gathered and we decided whether or not we were happy to let it go and have a car that was blatantly illegal, and in the face of a TD that it didn't comply with," he said. "We decided that we were not happy with competing with a car that didn't comply with the technical regulations, it's as simple as that." Renault intends to state its case at the appeal in Paris. "We have made a request to be heard as an interested party," said Budkowski. "We don't know whether we are going to be allowed to do so, but we are an interested party for obvious reasons. "But the rest of it is really between the International Court of Appeal and Haas."